What are the benefits of Cyclic for the life insurance industry? Using words to explain to a potential customers about the potential risks in life, and the types of insurance products that can address these, can be very boring. And indeed, in some cases it can scare people away. 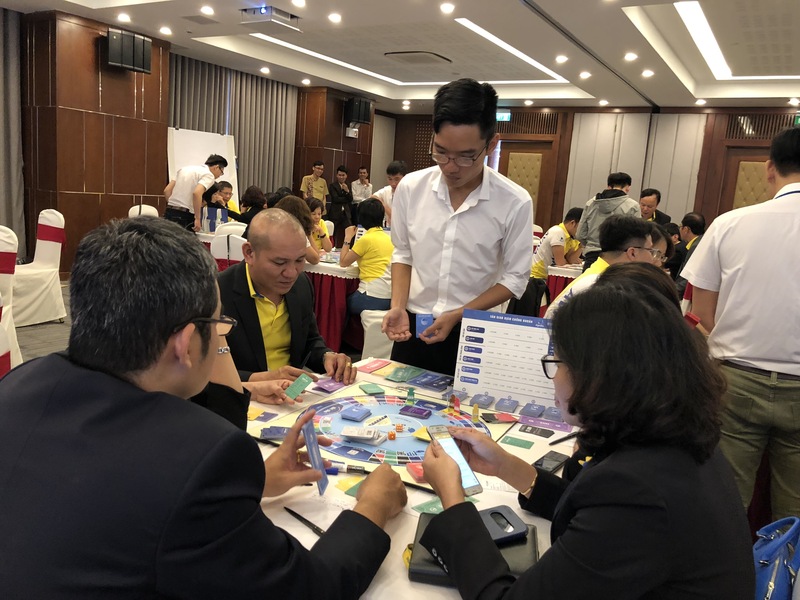 Aviva Vietnam’s sale managers understand this very well, and with the desire to find a more creative and refreshing way to help the team to interact more effectively and productively with customers, all of them have participated actively in Cyclic events, sharing their feeling and analysis of new ways of applying this tool into the actual business activities in the future. 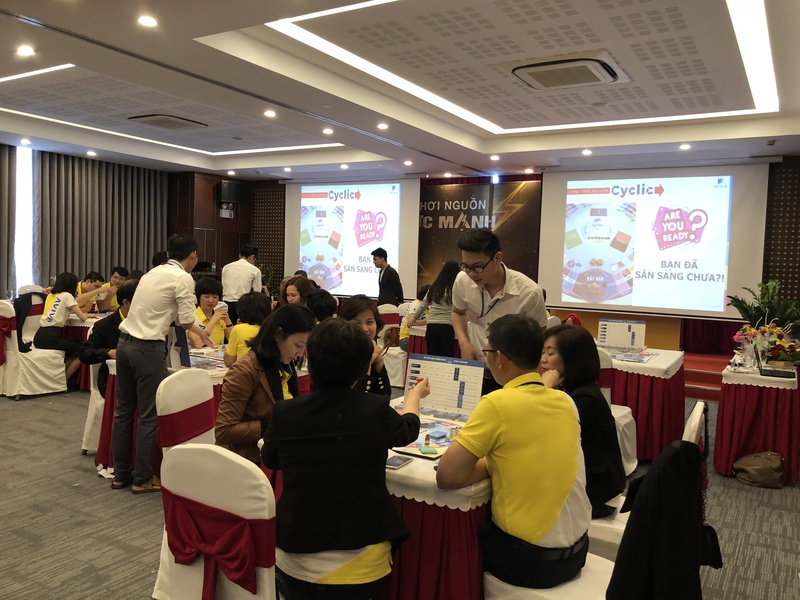 By experiencing Cyclic, the insurance consultants have the opportunity to learn about the nature of various financial products that are popular in the market for accurate analysis, and how to match products with the needs of different customers. 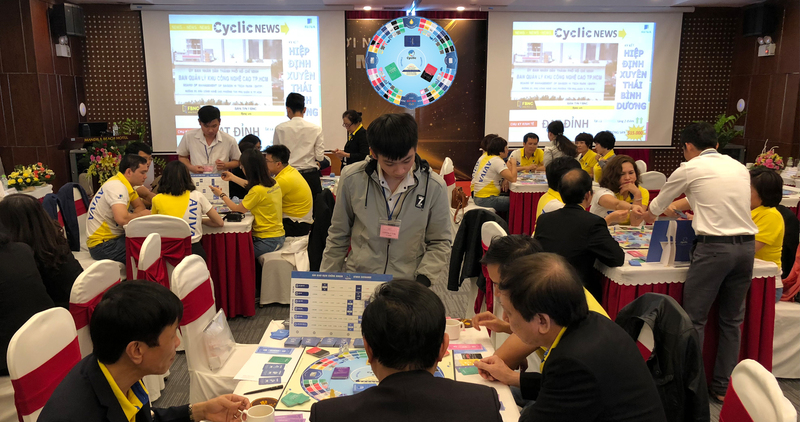 That is why Cyclic Game has been introduced into the training program, introducing products to insurance consultants to help them to improve their financial knowledge, making the advisory process more attractive and practical … and making it easier to convince customers, thus increasing the efficiency of the sales process. 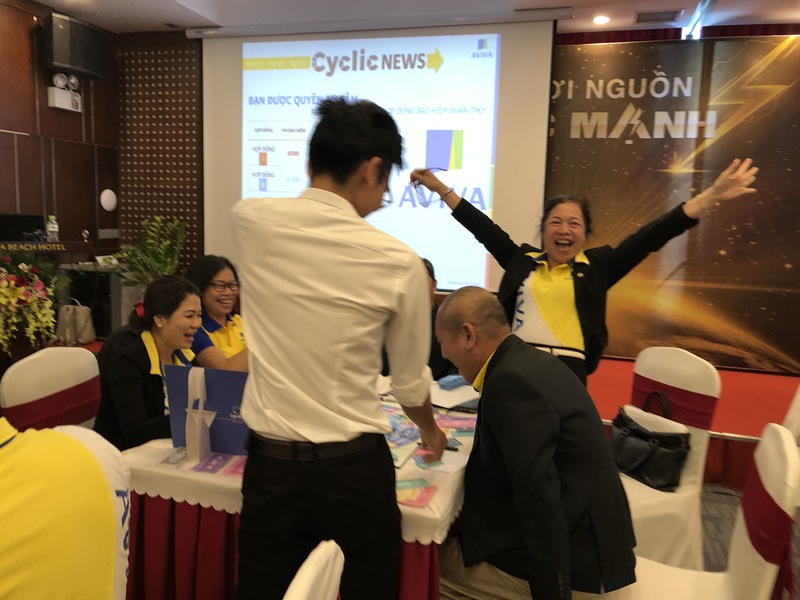 In particular, when customers experience Cyclic, the insurance consultants have the opportunity to communicate and interact with customers in a fun atmosphere, and readily ascertaining the customers’ personalities, and their concerns in each stage of life. This in turn enables the consultants to, consult more effectively with their customers, so as to address their specific needs. According to a survey, 99% of customers who experienced Cyclic became aware of the important role of insurance in protecting their individual financial affairs. 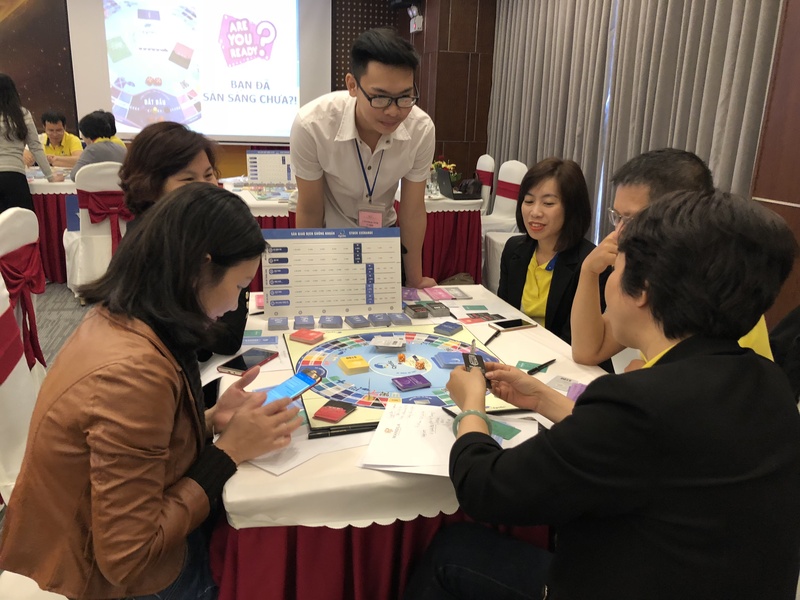 Contact the Cyclic Team if you need detailed advice on the application of Gamification in the field of training. Click here to REGISTER and EXPERIENCE!